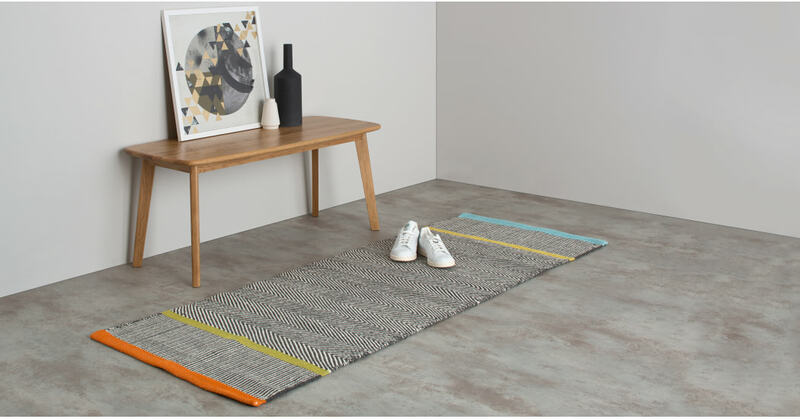 Modern and sophisticated, our Carson runner is an easy way to update your living space thanks to its simple stripe design. In cool grey tones, with pops of orange, lime and blue, Carson is easy to tie into any number of interior styles. Crafted from a wool rich blend this flatwoven runner is made in India, the home of great textile-making. It's hard wearing to boot, making perfect for those high-traffic areas.